– British officer Brigade Commander John Masters of the 4th Gurkhas, Burma, WWII. 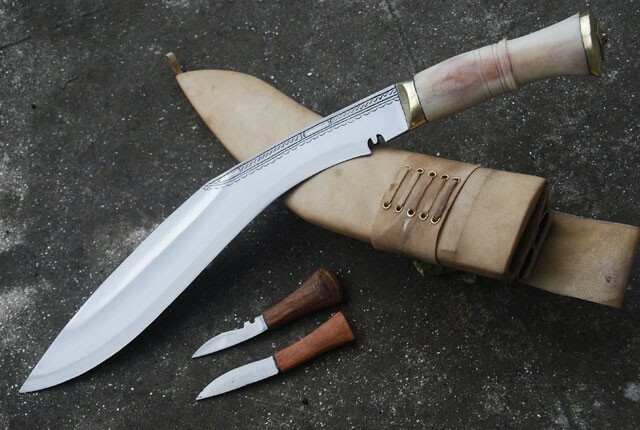 Seeking to learn more about the Gurkhas – renowned, brave Nepalese fighters in the Indian Army with the famed khukuri knives — I came upon a treasure. For British officer John Masters — assigned initially to the 4th Gurkhas — wrote an astonishing two volume autobiography of his military career, covering his service on the Indian-Afghani North-West Frontier in the 1930s, and in the Middle East and Burma in World War II. Masters could really write! BUGLES AND A TIGER: My Life in the Gurkhas, and THE ROAD PAST MANDALAY combine wonderful accounts of the lands and the settings, entertaining droll British humor, succinct and (mostly) loving descriptions of his brothers in arms of numerous nationalities, and crackling battle action. Sections on Masters’ training and performance as an officer are tremendously interesting — as he goes all the way from Sandhurst through leading battle units, to Staff Officers School and performing staff roles, back to battle commander, and back to staff officer. A three-page description of all the factors staff officers must cover in battle planning was extraordinary. And Masters’ two stints as Adjudant to Brigadier Generals demonstrate the significant impact a skilled, sophisticated assistant can have in both battle planning and during the fighting. So, this is conventional warfare, you say. What does it have to do with frontiers and irregular operations? Two periods of Masters’ career relate. First, his service and combat on the India-Afghanistan border was by definition “frontier.” The Gurkhas Masters commanded in the Indian Army fought a number of Afghan tribes in the remote, mountainous North-West Frontier terrain; and more broadly were securing the frontier border to forestall any thoughts by Germany or Russia to move through the region and attack India should border weaknesses be perceived. Secondly, during the World War II campaign to drive the Japanese out of Burma, Masters’ brigade was assigned to train for and operate as a “Long Range Penetration Group (LRP).” Explicitly not guerrillas, the LRP was to operate behind Japanese lines. They came to be called “Chindits,” a bastardization of a Burmese Buddhist term for a lion-headed dragon. The LRP was designed and trained to operate with light weapons, be highly mobile, and be resupplied by gliders and C47 aircraft that would land on airstrips the troops – once they themselves had been inserted by gliders — hacked out of jungle clearings of sufficient size. Such jungle warfare tactics exert extreme stress on soldiers; and 90 days behind enemy lines was considered their limit. But top commanders make mistakes in war. 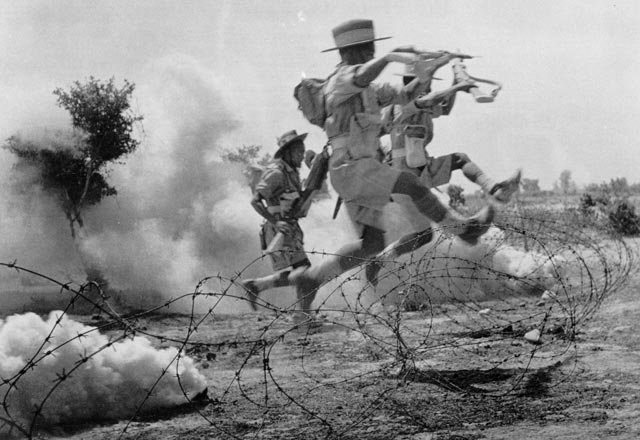 The drama of THE ROAD PAST MANDALAY reaches a peak when after 90 days in the jungle, high command ordered the Chindits to perform a role of regular troops and establish a “block” to prevent Japanese troops from moving into one of the conventional battles going on. Masters selected a plateau for the brigade to occupy as the block. But because the Chindits didn’t have heavy artillery and still were dependent on C47 airdrops for ammunition and supplies, they became “sitting ducks” for the Japanese. There is too much more in Masters’ story for any thorough accounting here. Of note is that, previous to Burma, his troops fought in and/or occupied the very places in Iraq that Americans have fought in this century: Basra, Raqqa, Aleppo, Mosul. And back in Burma the culminating fight for Mandalay was “a gruesome campaign of extermination.” The Japanese occupied tunnels under the city. Great article. I’ve always been interested in the Gurkhas. Come whitewash this fence! It’s fun! I’d certainly like to read more of Rick’s stuff. I second you on John Master’s memoirs. I read them in the last couple years. George MacDonald Fraser’s memoir of the war in Burma “Quartered Safe Out Here” has some fun sections on the Gurkas. They are light reads, but you have to appreciate droll British humour. They are far superior to Flashman, in my view. Even though, I like Flashman. I want somebody to read them, so I can talk about them. However, you should read “Quartered Safe” first. There is a lot of good Frontier Partisans stuff in McAuslan (baiting the trap). Read Quartered Safe probably 20 years ago. Never cracked the McAuslan. I just need a year off to do nothing but read. I just need a year off to do nothing but read. Not about Gurkhas but Jason Aarons of Scalped will be writing Marvel’s new Conan comic. I apologize but you already advised in article on Masters. Volume number one before Mandalay recounts prewar with Gurkhas in India. When I read vol. 1, “Bugles and a Tiger,” I thought that vol. 2 couldn’t be as good. “The Road Past Mandalay” IS just as good. I can’t choose between them! Huge fan of these two books. Masters’ memoir of his postwar years living in the USA is short of conflict, but is worth reading just to get the rest of the story. The best writer on the Gurkhas is Col. John P. Cross, who is still living in his 90s. 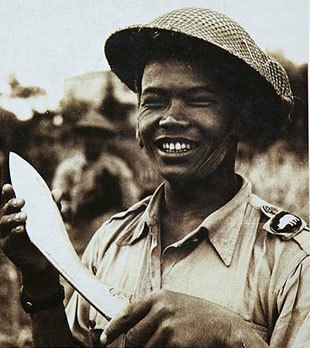 He is one of three men living who served as Gurkha officers before the end of the Raj in 1947. Col. Cross is, is I believe ,the only Englishman permitted to settle permanently in Nepal. He has written many books about the Gurkhas, such as: Gurkhas at War, Gurkha Tales, It Happens with Gurkhas, In Gurkha Company, and his two volume memoirs, and a series of novels covering the whole history of the Gurkha service since 1814. This Robert Kaplan profile of Col. Cross is very good. Thanks for the lead on Cross.